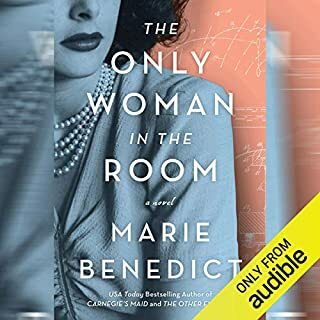 Don't listen to this if you are expecting an in-depth fictional biography of Hedy Lamarr. It could be any fiction about an abused woman who extricates herself and then reinvents herself. The main character is one unhappy person who is trying to make a living as a stand-up comic. 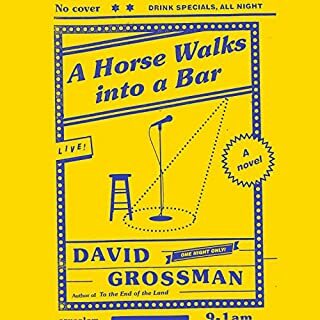 At one point in the book, someone in the audience gets up and walks out, saying something along the lines of &quot;why doesn't he pay a therapist.&quot; That pretty much sums ups he story - it's a stand up comic, who is not really funny, working out his issues on stage. The side story of the person in the audience who was his childhood friend is absolutely lost in all the melancholy of the stand up comic's antics on stage. Eccentric, reclusive Walter Rennert lies cold at the bottom of his stairs. At first glance the scene looks straightforward: a once-respected psychology professor done in by booze and a bad heart. But his daughter, Tatiana, insists that her father has been murdered, and she persuades Clay Edison to take a closer look at the grim facts of Rennert's life. What emerges is a history of scandal and violence and an experiment gone horribly wrong that ended in the brutal murder of a coed. This novel had some disjointed sections - perhaps that's what happens when there are 2 authors writing one book. Dr. Delaware makes a cameo appearance that adds nothing to the book, and is, in fact, rather a cheap way to hook fans of the Alex Delaware series. Overall, this book will keep your interest, and perhaps Clay Edison can become an ongoing character. But the next book had better be edited better. This book might appeal to someone who needs a story to be very over-written, leaving nothing to the reader's imagination. Carpenter never met an adjective she didn't like, and she repeated descriptions over and over (how many times did Meg have to say Koa smelled like jasmine?). What was most disappointing about Emily Carpenter’s story? I actually liked the story-within-a-story technique. What disappointed me was that there was too much extraneous information and description. The mare and foal as symbols of Meg's relationship with her mother was just too trite. Who would you have cast as narrator instead of Kate Orsini? Kate Orsini was very good in some parts. But she often lost the characters' voices, so if she was &quot;acting&quot; as Koa for the better part of a speech, all of a sudden she sounded like Meg again, even though Koa was still speaking. So I'm not sure if the fault is hers, or if it was bad producing and editing. 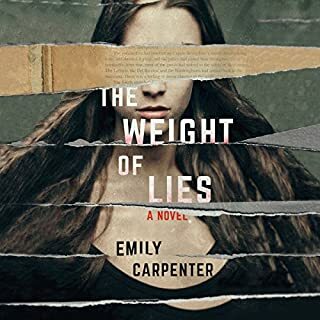 What character would you cut from The Weight of Lies? This book got me through 2 long days of driving, but fast-forward came in handy in several sections. 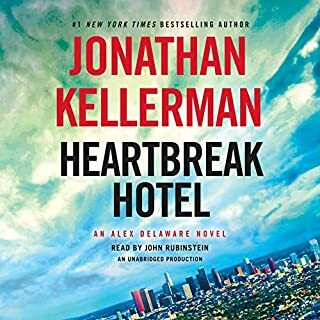 Would you listen to Heartbreak Hotel again? Why? I probably wouldn't listen to it again - not based on the story or the performance but because I just don't re-listen (or re-read) books. Too many books, not enough time. John Rubenstein IS Alex Delaware (and Milo Sturgis). 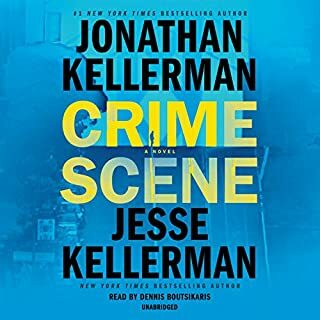 Even when I read a Kellerman book I hear Rubenstein in my head. Usually Alex Delaware is working to solve a case involving children (or something that happened to an adult as a child). This book is completely at the other end of the age range since the victim is almost 100 years old. The twists were interesting, as were the "excursions" into Hollywood of the 1930s. The story. I'm a fan of Xe Sands so it wasn't her narration. The book is just plain boring. Maybe it's better on the page than as an audible book, but I could never get into it. It would just be noise playing in the background as I was driving. 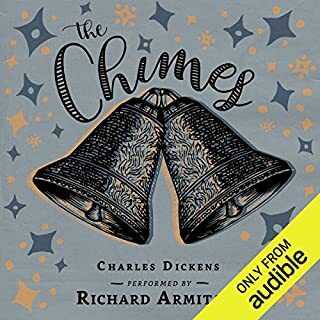 Would you try another book from Charles Dickens and/or Richard Armitage? I've read enough Dickens to know what to expect. Perhaps in 1844 audiences would be enthralled by listening to someone read this - but not in 2017. My feeling is that this book is better read on the printed page than as an audiobook. Could not keep the characters straight as they all sounded alike by this narrator. Boredom. It was no Edgar Allan Poe, that's for sure! Venice, 1944. The war may be waning, but the city is still occupied and people all over Europe fear the power of the Third Reich. 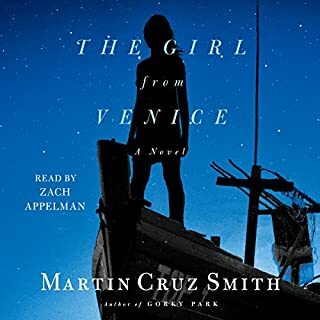 One night, under a sky of brilliant stars, a poor fisherman named Cenzo comes across a girl's body floating in the lagoon. He carries her into his boat and soon discovers that she is very much alive and very much in trouble: Born to a wealthy Jewish family who has been captured and deported by the Nazis, Guilia is on the run after she was found hiding in a local hospital. What made the experience of listening to The Girl from Venice the most enjoyable? It's a pretty fast-paced story, and not the typical story set during WWII. This one is set in Italy, and the historical aspects of it (so the rise and fall of Mussolini) are particularly interesting. 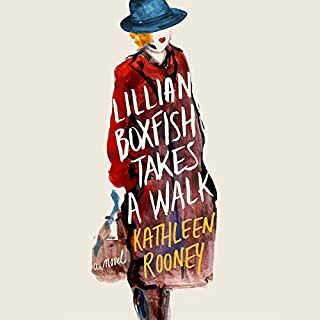 The romance is a foregone conclusion, but the twists and turns of who is friend and who is foe make this book a captivating listen. Rowland Sinclair is an artist and a gentleman. In Australia's 1930s, the Sinclair name is respectable and influential, yet Rowland has a talent for scandal. He relies on the Sinclair fortune to indulge his artistic passions and friends: a poet, a painter and a brazen sculptress. 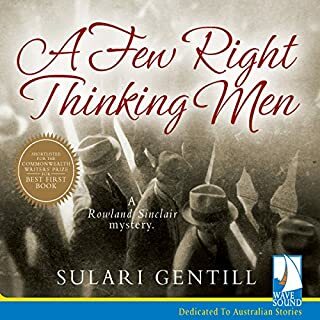 Mounting tensions fuelled by the Great Depression take Australia to the brink of revolution, but Rowland Sinclair is indifferent to the politics...until a brutal murder exposes an extraordinary and treasonous conspiracy. Cut back on some of the details of the political rallies, etc. The descriptions seemed to go on forever. I got to the point where I fast forwarded a few times. I liked that fact that the chapters started with actual newspaper stories. 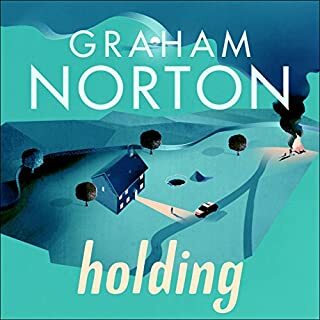 Graham Norton's masterful debut is an intelligently crafted story of love, secrets and loss.The remote Irish village of Duneen has known little drama; and yet its inhabitants are troubled. Sergeant PJ Collins hasn't always been this overweight; mother of¬ two Brid Riordan hasn't always been an alcoholic; and elegant Evelyn Ross hasn't always felt that her life was a total waste. What made the experience of listening to Holding the most enjoyable? Having Graham Norton read his own work made this special. He has a wonderful voice for narration. His Irish accent - it made the characters really come alive.